Aleppo soap is a product of Syria and renowned for its unique character. It is 100% natural soap made of Olive oil and Sweet Bay /Laurel oil. It is said that the soap making has started back in 8th century and considered to be the first soap in the world. Gradually the soap spread over Europe region in 12th century. This soap is made through a "hot process"and its method is unchanged from the ancient. 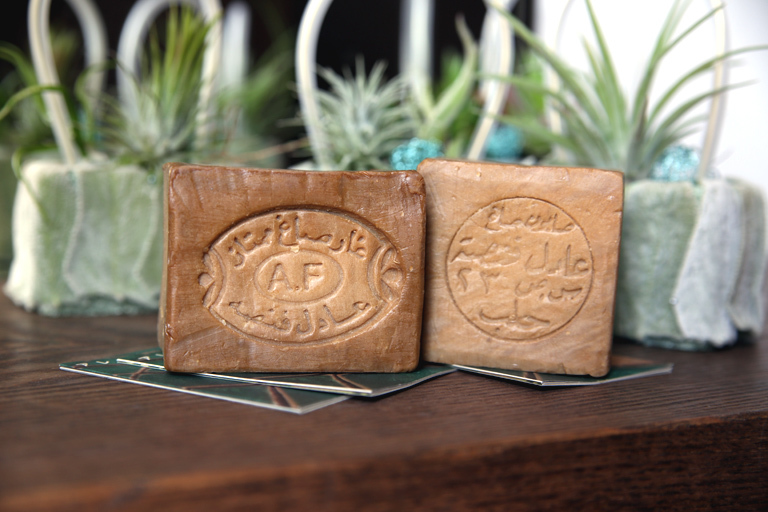 All the traditions is still kept by Aleppo soap masters. Olive oil has rich emollient properties such as squalene and vitamin E. The 80% of olive oil is acid, that is almost the same PH as human skin oil covering your hair and bodies. The Sweet bay, Laurus nobilis is a sturdy and very scented bush glow in mountain area between Syria and Turkey. The Bay leaf is frequently used for cooking, however they also bear fruits. Laurel berry oil is very precious as it can only produce small amount of oil per fruit. 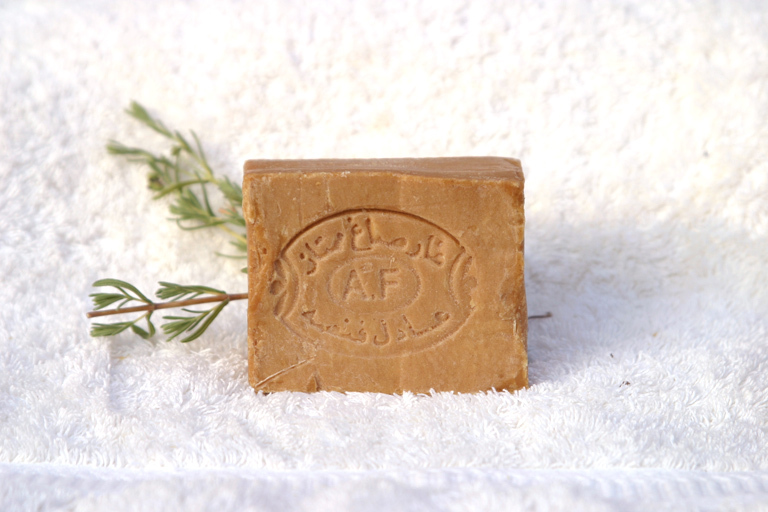 The aleppo soap contains both olive and laurel berry oil and nothing else except sodium hydroxide. No preservative materials, no chemical artificial additives. Both oil bring great benefits on the skin. Smooth texture and moisture from olive and cleansing effect and aroma from laurel. The soap adapts all skin types, even for sensitive skin. 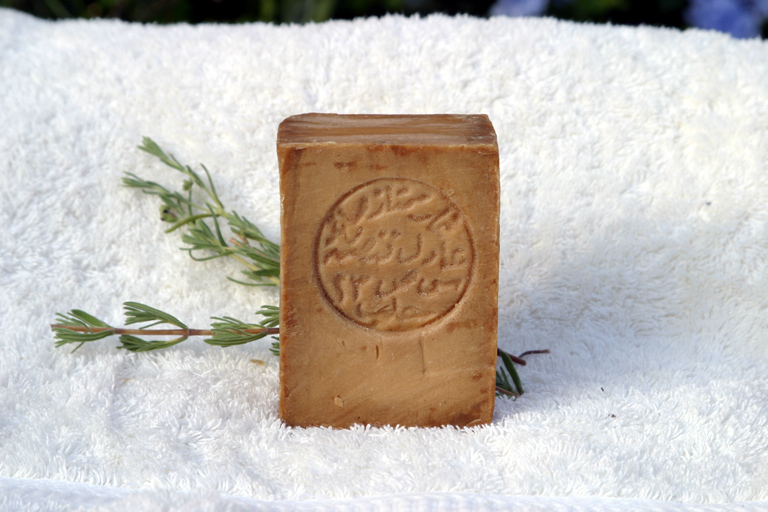 Aleppo soap was brought to Japan in 1994. Since then the soap has become so popular and many Japanese enjoy the gift from the nature. *As the soap is all handmade, the weight may slightly different. If you are good at Japanese, please purchase through the form.